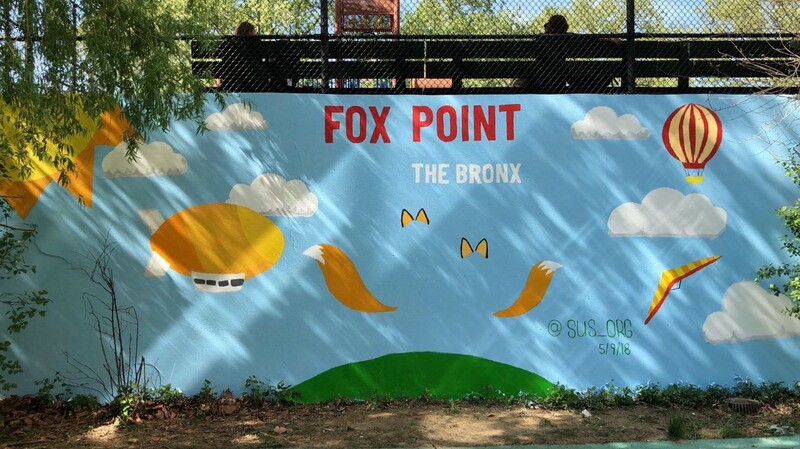 On Wednesday, May 9, 2018, several folks from our agency took a trip to the Bronx to create a mural for Fox Point, a supportive housing complex. 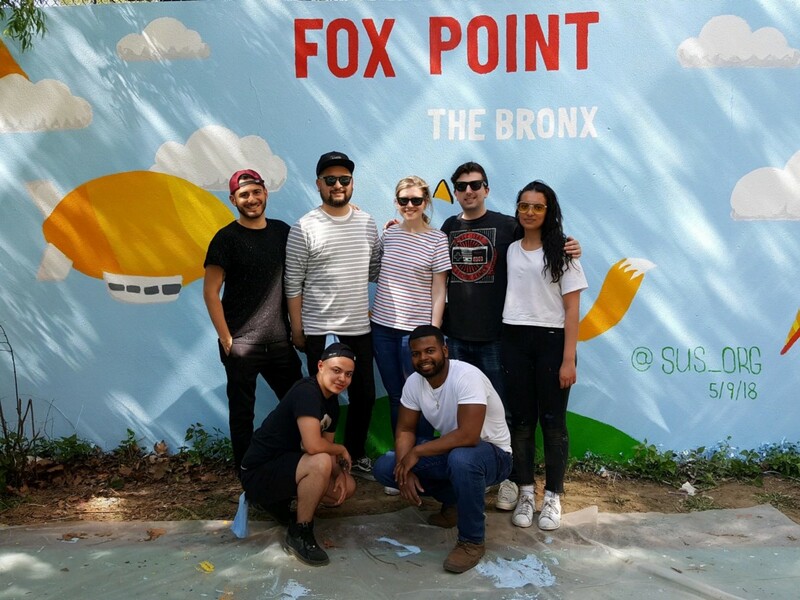 Working with Services for the Underserved, employees from Patients & Purpose designed and created an interactive mural for the residents at Fox Point. 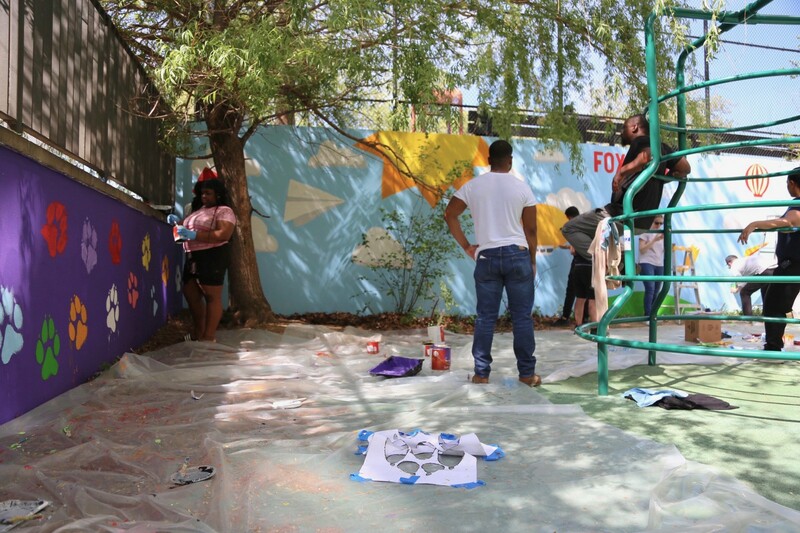 The Patients & Purpose team and the Fox Point team hard at work placing the finishing touches on the murals. 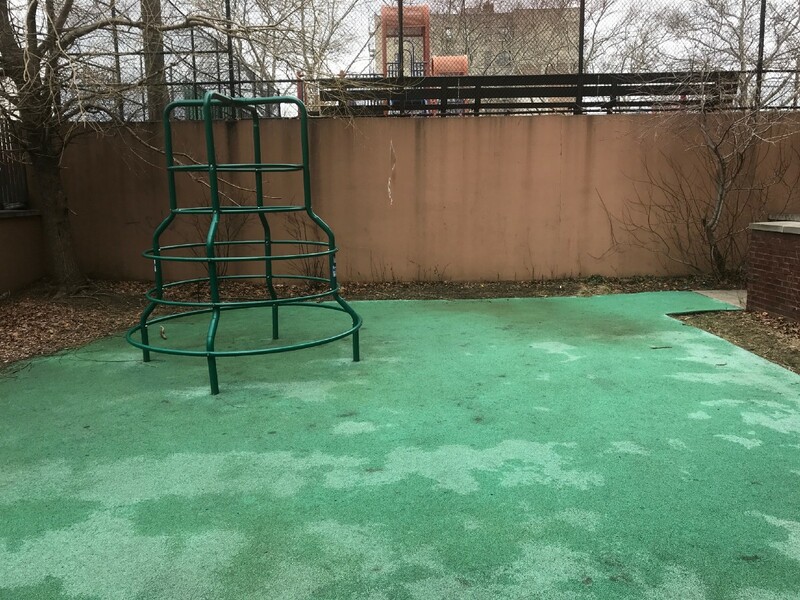 Fox Point is a supportive housing complex that provides 48 units of affordable housing for formerly homeless and low-income families and individuals. Supportive housing assists people transitioning from homelessness and helps enable them to live as independently as possible. At Patients & Purpose, we encourage our employees to take time off to volunteer. 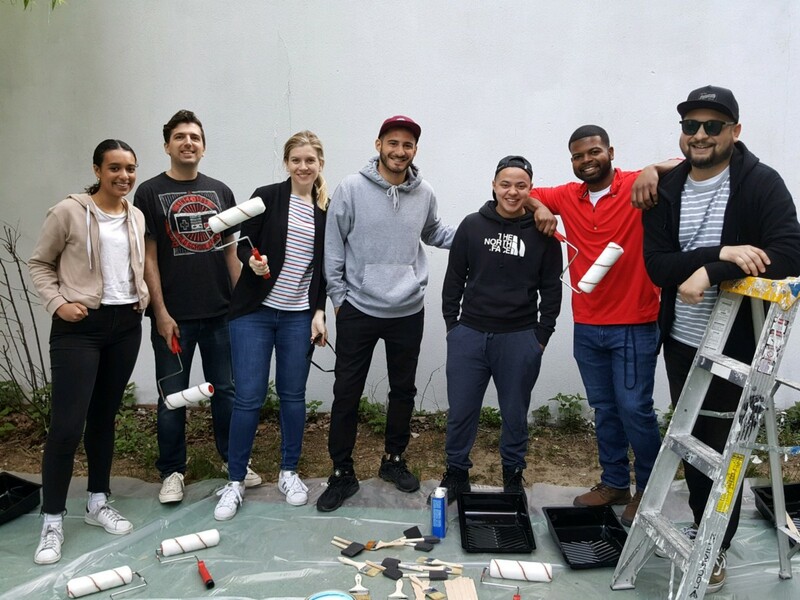 A special thanks to the employees who participated: Troy Anderson, Jamie Feld, Shanti Garcia, David Gonzalez, Josh Ilutiza, Julian Soto, and Merone Tesfaye. The main wall at Fox Point before the Patients & Purpose team painted the mural. The Patients & Purpose Team with the completed mural. In this photo, clockwise from top left: David Gonzalez, Shanti Garcia, Jamie Feld, Troy Anderson, Merone Tesfaye, Josh Ilutiza, and Julian Soto. 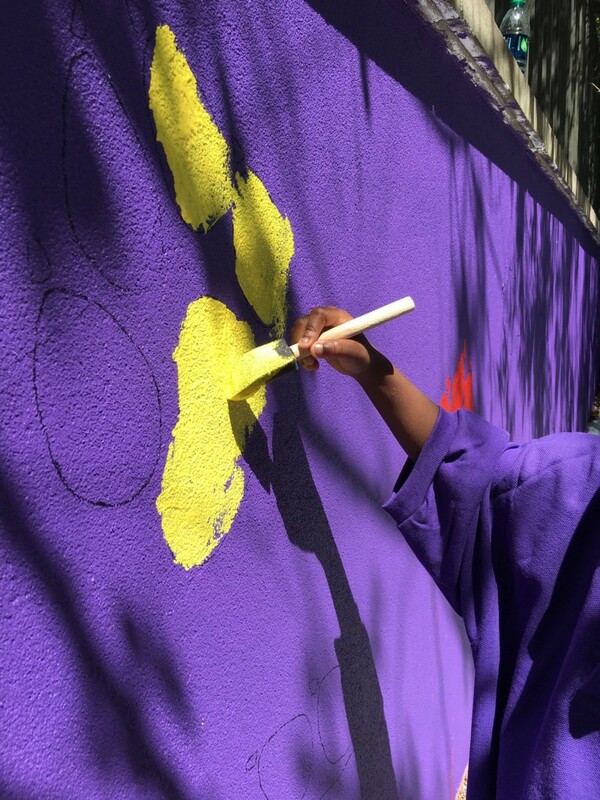 Children and volunteers at Fox Point made their mark by painting their own fox-paw prints.